A swimming pool is located west of the clubhouse. The pool depth is 3 to 9 feet. A lifeguard is present while pool is open. 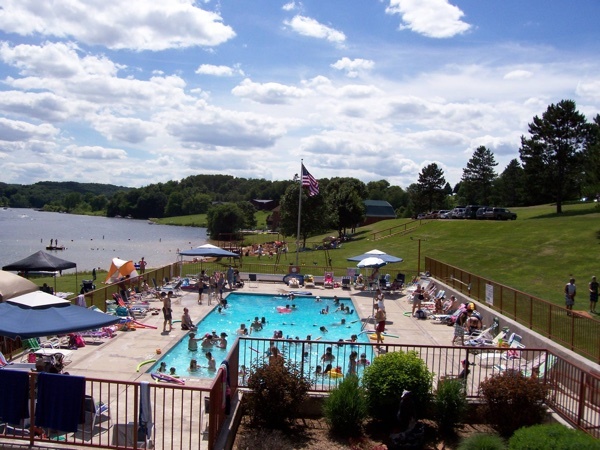 An annual or daily activity fee is charged for use of the pool during scheduled hours. Open from Memorial Day Weekend through Labor Day Weekend.